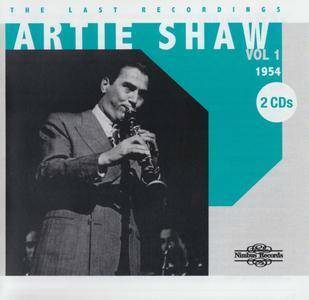 The material on CD 1 dates from the latter half of Artie Shaw’s career as a bandleader, which ended with his retirement in 1954. 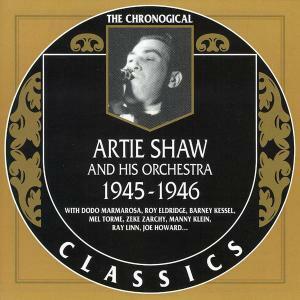 Always presenting tasteful and often unusually deep interpretations of big-band jazz and dance music, and featuring his exquisite and frequently profound clarinet improvisations, Shaw’s career climaxed in his rise to superstar status as the most popular musician in North America at the height of the Swing Era in 1939. 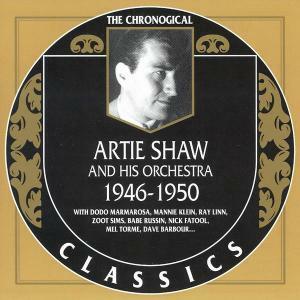 This collection of Artie Shaw big band recordings comes from his brief association with the Musicraft label. Having assembled and broken up several earlier units, this edition, heard in recordings made between 1945 and 1946, is more of an arranger's band than one that features many soloists, other than the leader. During this period of Shaw's career, he was constantly changing the instrumentation of his band and making personnel substitutions. Fellow Musicraft artist Mel Tormé and his group the Mel-Tones are added on some tracks, though this was a studio relationship exclusively and they were not a part of Shaw's organization. 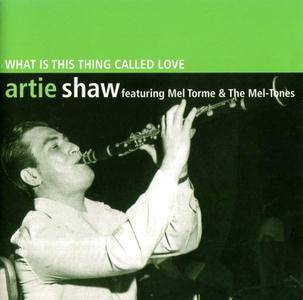 The innovative blend of strings, voices and brass in the swinging arrangement of "What Is This Thing Called Love" is the highlight of the vocal selections, along with an updated instrumental version of the clarinetist's earlier hit, "Begin the Beguine." The only reservation about this compilation is that several tracks are abruptly faded or even truncated. As a rule, record companies don't give artists the chance to pick the songs when a boxed set is assembled. They might ask the person who writes the liner notes to interview the artist, or they might even have the artist write the liner notes. But the label, not the artist, usually chooses the material. 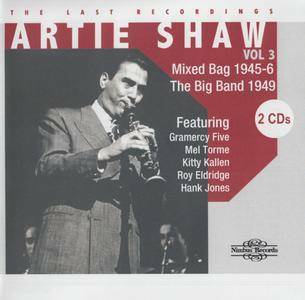 Self Portrait is an exception; when this five-CD, 95-track boxed set was assembled in 2001, a 91-year-old Artie Shaw was given a rare chance to make the selections himself and comment on them. And for those who are seriously into the clarinetist, it is fascinating to see what he chooses. 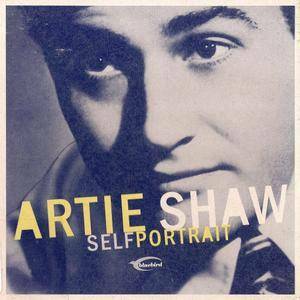 Self Portrait, which spans 1936-1954, contains most of his essential swing, era hits, including "Stardust," "Begin the Beguine," "Frenesi," and his ominous signature tune, "Nightmare." 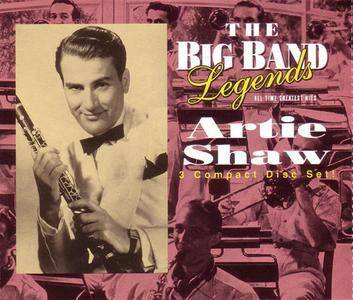 The Big Band Legends is a 3CD compilation by jazz legend Artie Shaw. This was released by GSC Music/RCA Special Products/BMG Direct Marketing. 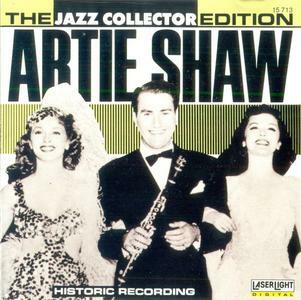 While oscillating between retirement and comebacks throughout the '30s and '40s, clarinetist Artie Shaw cut several incredible sides from 1938-1939. After ditching a string orchestra setup, Shaw formed his first big band in 1937 and eventually gained fame with his signature performance of "Begin the Beguine." The bandleader would go on to commit a slew of numbers to wax up until another retirement in 1939. 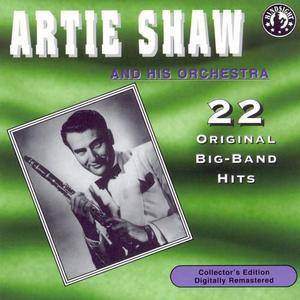 Artie Shaw (born Arthur Jacob Arshawsky; May 23, 1910 – December 30, 2004) was an American clarinetist, composer, bandleader, and actor. Also an author, Shaw wrote both fiction and non-fiction. Widely regarded as "one of jazz's finest clarinetists," Shaw led one of the United States' most popular big bands in the late 1930s through the early 1940s. Though he had numerous hit records, he was perhaps best known for his 1938 recording of Cole Porter's "Begin the Beguine." Prior to the release of "Beguine," Shaw and his fledgling band had languished in relative obscurity for over two years and, after its release, he became a major pop artist within short order. The record eventually became one of the era's defining recordings. Musically restless, Shaw was also an early proponent of what became known much later as Third Stream music, which blended elements of classical and jazz forms and traditions. His music influenced other musicians, such as John Barry in England, with the vamp of the James Bond Theme, possibly influenced by "Nightmare," which also has a similar vamp to Kurt Weill's "Lonely House." 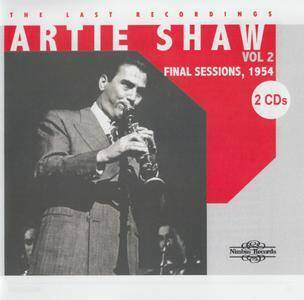 Conversing with Artie Shaw – as Loren Schoenberg and I did in preparation for annotating these further treasures from his last recordings – is an exhilarating experience. This is because this master of the clarinet excels at making connections. Just as he always knew how to get from one note the next in such a way that the result was a cohesive statement – a story, as jazz musicians used to put it – he knows how to link one idea to another, to make allusions, to place things in context, within a frame of reference that ranges wide and far. Artie Shaw always told a story when he played, and he had that sound – immediately, unmistakably identifiable as his and his alone. It is a treat to hear him tell us some timeless stories we hadn’t heard before. Dan Morgenstern.